Twin Cities Car Service provides clients with private and professional Minneapolis non-emergency medical transportation services. We specialize in handling all the ground transportation logistics for the non-emergency medical transfer process. We work directly with the patients, their families or the medical facility. Whether you are a patient looking to secure a safe and dependable transportation, or a medical facility looking to partner with an experienced and trusted vendor with many years of expertise in providing personal mobility solutions, Twin Cities Car Service is a trusted Minneapolis Medical Transportation provider. Note: If you are having a real emergency and need assistance.. please dial 911. We are not an emergency transportation provider. Twin Cities Car Service safely transports patients and private clients from their homes to the care facility destination and back again, delivering the highest level of patient personal transportation. With Twin Cities Medical Car Services, our entire team of transportation professionals will work together to get you to your destination on-time and in total comfort. Twin Cities Car Service specializes in non-ambulatory client transportation. Our Minneapolis Non-Emergency Medical Transportation services cover medical appointments, surgery appointments, chemotherapy, dialysis and other healthcare related meetings. 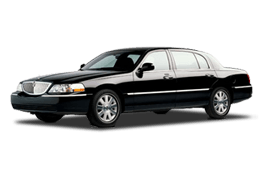 Our fleet is made up of late model vehicles and our chauffeurs are professional. We strive to meet all our clients personal transportation needs and work with patients that need that extra care. If you are having a real emergency and need assistance, please dial 911. We are not an emergency transportation provider.